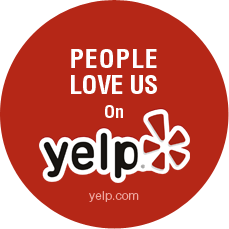 Here are some reviews of WeightLoss Boston on Yelp.com. I used to be able to lose weight no problem….. then I turned 40. I gained 10 pounds over the winter and no matter what I did when the spring rolled around I couldn’t lose an ounce! I was eating healthy, running 3 miles daily and doing the insanity workout. Still nothing. In my desperation I tried Weightloss Boston. Though it didn’t seem feasible you could lose so much weight so quickly I was willing to try anything. I’m SOOO happy I went to Dr. Nash. He’s fantastic!! My total goal was to lose 30 pounds. I lost 12 of those in less than a month which I’m thrilled with! And I’m still going strong! This place is amazing! Unlike any other dieting experience this method makes you lose weight and stay happy. You don’t feel suffering or deprived, you actually feel healthier. You don’t think about food at all, because you are not hungry; but when you eat, it tastes good. Losing 12 pounds (6.5% of the original weight) in 2 weeks, and seeing all the people that have lost weight with Dr Nash and how they keep the results for years, it definitely inspires you!